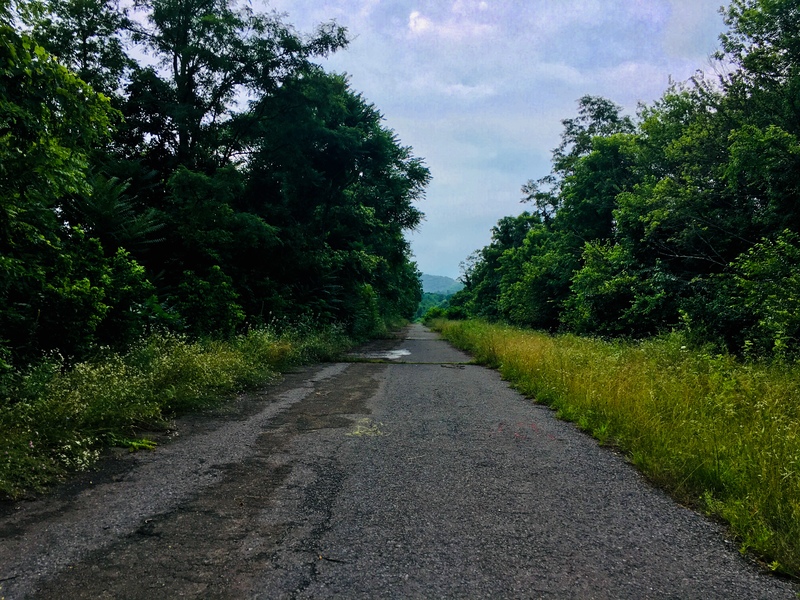 Atlas Obscura stop for today: the Abandoned Pennsylvania Turnpike. We did not hike the two miles to the first of the two tunnels on the abandoned stretch. Neither Brandy or Alex were up for that today. Alex’s verdict: Not worth it. Brandy’s verdict: Didn’t like the hill. Sam’s verdict: Wanted to see the tunnel.